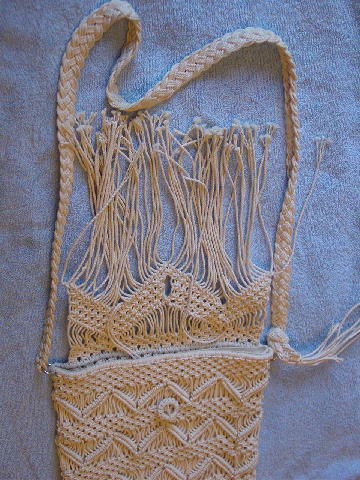 This foreign-made long fringe, creamy-bone color (see the 3rd picture for more accurate color) purse has a flap center closure. It has a thin muslin bone color fabric lining. 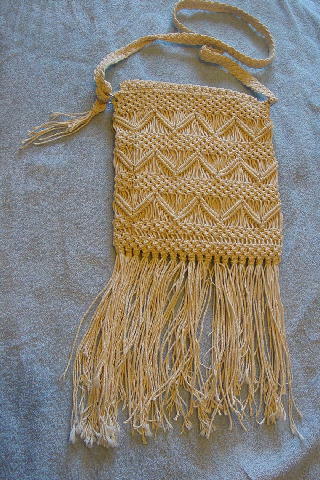 The exterior surface and 41" long by 3/4" wide shoulder strap is made of a rope-textured twine with different woven design patterns. At the top of each side is a silver-tone metal loop which the shoulder strap is attached to. 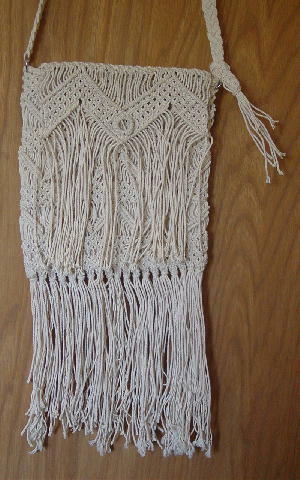 It has a '70s hippie look that works from daytime to evening. It was worn in several magazine photo shoots.